Setting up an estate plan is a huge accomplishment. Keeping it up to date is just as important. Just as your family goes through changes throughout your lives, your estate plan should change as well. 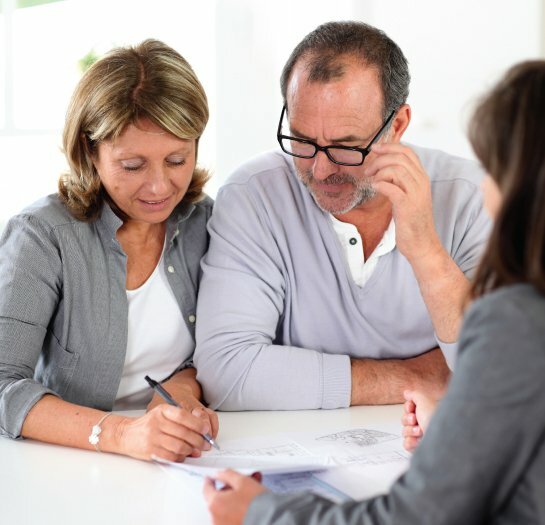 It’s important your estate plan reflects your current situation and wishes. Getting Married. Blending lives is such an exciting time! It’s important to make sure that you blend your finances and estate plans correctly. Talk with us about your financial goals and assets to ensure they would be protected and properly distributed in the event of a divorce, incapacity or death. We can also help connect you with trusted colleagues that can assist with a prenuptial agreement for those who wish to keep their assets separate, as well as establish guidelines for asset protection for children from a previous marriage. Having a Baby. Most estate plans will automatically include afterborn or adopted children, but it’s critical to meet with us to confirm that your beneficiaries are exactly who you want, and that the new baby is included. A new baby also means you should execute a child medical directive to ensure that medical decisions can be made on their behalf by someone you trust. You’ll also want to make sure your permanent guardians and temporary guardians are still the best choices. Buying a Home. Buying a home or an investment property is very exciting, but taking title the wrong way can have significant tax implications you may not know about. You need to take title in a way that will not only avoid a California probate process, but also assure the most beneficial tax treatment. Be sure to consult with us when purchasing a property so we can help you take title the correct way. Even if you’ve already bought the home, give us a call so we can make sure you are holding title in a way that makes the most sense for you. A Medical Diagnosis or Special Need. If your spouse receives a long-term medical diagnosis such as Alzheimer’s, or your child has a special need, it is important to make sure your estate plan is updated to include elder law or special needs planning techniques. This special type of planning allows us to protect your family assets while ensuring your loved one can remain eligible for important government benefits they may be entitled to, such as SSI, Medi-Cal or VA Benefits. A Legal Separation or Divorce. Many people don’t realize that a divorce typically makes their family estate plan invalid, or in some cases allows an ex to continue making medical decisions until a divorce is finalized. If you are separating from your spouse, is it important to give us a call so we can guide you through this difficult time and advise you on your next best steps for reestablishing an estate plan post-divorce. Children Heading off to College. Our own children are still young, but we are told once they turn 18 and head off to college, it’s bitter sweet. They’re usually ready for this new chapter, but before you send them off, they should consider executing a financial power of attorney, so you can continue to help them handle their finances, and a medical power of attorney so you can make medical decisions for them in an emergency. A Change in Decision Makers. Just because someone was the best choice when you executed your estate plan originally, does not mean they will always be the best choice. People age, people move, relationships change, or new people come in our lives. We recommend that at least every three years, you should review your designated decision makers with us so you can feel confident you have the right people serving in the right roles. A Falling Out. Most of us remain set on who we want to inherit from us, but sometimes people need to update their plan to exclude certain family members from inheriting from them. This can be a painful conversation to have, but we’re here to guide you and counsel you wisely without judgment, and help you make the best decisions for the long-term. An Inheritance. If you receive an inheritance from a family member, it’s important to consult with us to see how that affects your own estate plan, and if there is anything special you need to do such as setting up a bank account in your own name to hold the funds. We can help you understand how to best hold your assets in a way that meets your personal goals. A Change in Assets. Whether you’re opening a new bank account, buying a new property, or taking out a new life insurance policy, be sure to give us a call so we can make sure any new assets are properly connected to your trust. We can also help advise you regarding any tax implications due to an increase in wealth, or the sale of a property or business, so you can maximize the strategies available to you. No matter what life changes you are experiencing, there’s no need to wonder whether it warrants a call to Meier Law Firm—your top rated and affordable California family trust, elder law, and special needs law firm with offices in Newport Beach (Southern California) and Redwood City (Northern California). We never charge for phone calls or emails so there is no reason not to pick up the phone and ask. Call Bonnie Johnson today at 949-718-0420 to get the guidance you need. Or just click here and fill out our simple form and we'll be in touch!